Most businesses lose customers due to lengthy processes which involves collecting information about customer, then redirecting them to a landing page and taking it further by asking more information. This is not only time consuming but leads to a frustrating customer experience which has negative impact on the brand. Cloud telephony providers offer internet based solutions that involves minimum number of steps required to get a call back from customer care agents. It helps nurture leads and converting potential customers in the short span of time available. But due to the vast amount of information available on website, customers tend to get confused or may have more queries which needs immediate addressal. Customers expect businesses to enable smooth user experience by connecting calls with just a single click. To cater to the needs of these customers, cloud telephony providers offer a unique solution called Click 2 Call. Click 2 Call is a unique cloud telephony solution which allows customer care agents to get in touch with customers as soon as they drop their number on a firm’s website or app. Click 2 Call empowers team productivity with just one click allowing agents to reach customers instantly and convert potential customers to paid customers. Kaleyra’s Click 2 Call takes this technology one step ahead by providing a browser based extension called Callee that enables high quality voice calls. It allows agents to get in touch with customers whether it could be a helpdesk or through CRM or just your desktop in just a click. How does Click 2 Call work to connect agents and customers? 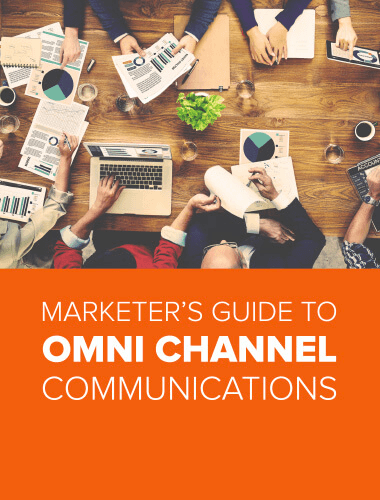 Phone calls are still the most preferred form of business communication no matter how much information is available on the business’s website. Customers are still inclined towards having human interaction. With majority of customers now searching via their smartphones, a google research shows that 70% of users get in touch with businesses directly from the search results obtained. Click 2 Call allows customers to drop their details like name, number and nature of query and submit details with just a click. The details are then processed and the call is initiated between the agent and customer powered by API that creates a bridge between the end users and allowing real-time communication. On the other hand, agents can get in touch with customers also through browser based extension in just a click reducing manual efforts for agents to note down numbers and details. Both the parties are connected via masked numbers thus allowing both agents and customers to keep their numbers private since calls are triggered via internet based platform. Click 2 Call provides call center functionality at fingertips by mimicking most of the functionalities that a Cloud contact centre offers. It gives a more simplified approach enabling seamless integration to business platform through easy calling widget. By integrating this widget on browser, CRM or helpdesk, businesses can connect with customers and drive sales. With Click 2 Call, agents do not have to follow age old norms of noting down customers numbers and calling them manually. Cloud telephony providers like Kaleyra have made the cumbersome process into a simple single click-based calling solution. The API fetches, processes the details of customers and connects the call to the next available agent. This reduces the number of hours spent making list and adds to their productivity since agents can now cater to more customers. According to a research, 88% of customers who search for businesses on their mobile phones are most likely to contact businesses within 24 hours. 78% of the customers who participated in the survey were of the opinion that it was the faster response rate that made them choose the product and the customer care agents were responsible for providing a happy experience. 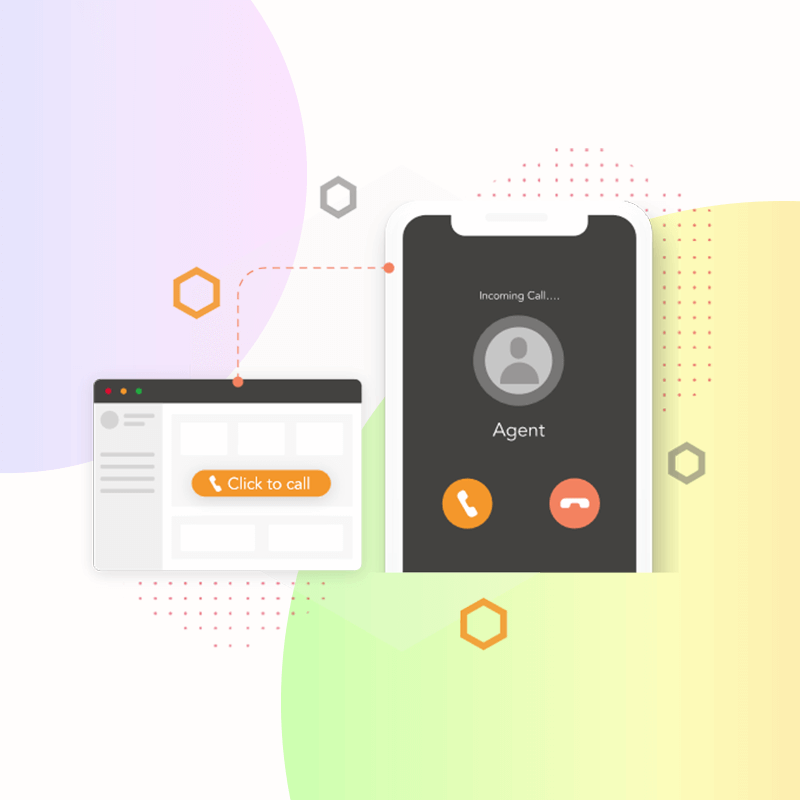 Click 2 Call provides the right platform for agents to connect with customers faster and convert them into buyers achieving higher revenues for businesses. Click 2 Call provides call center functionality to a browser based calling extension. Businesses can now listen to call recordings, check real-time data on agent call logs by easily logging into dashboard. These insights help businesses track team and call center performance easily, understand the gaps and provide required training using call recordings as feedback to address issues. This helps improve customer support function more efficiently. Click 2 Call also has most of the features provided by cloud contact centre like auto follow up. Agents no more have to manually initiate a call to the customer. It helps reduce manual effort by automating follow up so that businesses can reach customers at a convenient time. It also allows agents to take call notes to help them carry forward the discussion with ease and not having to remember each conversation had during their work day. Customers no longer have to wait in long queues over the call for agents to resolve their queries. Agents can dial the customer number as soon as they drop the numbers on websites or app and make use of the small window available in nurturing leads and converting them to potential customers. Once the customers drop their details on the business platform, the API then processes in the backend providing agent the details of the customer like name and nature of query. Just addressing the customers by name goes a long way in providing personalized communication. The details fetched by API also helps agent get a context on the query they are addressing and provides rich experience to the customer since they do not have to repeat the query again. Kaleyra’s Click 2 Call aims to help agents get in touch with customers by making calls directly through helpdesk, CRM or ecommerce platform. It saves time by cutting down on navigation and makes call center more efficient with just one click. Reach out to us today at 080 – 40275555 to know more about Click 2 Call and how it can help your business. Drop your details on our website www.kaleyra.com and schedule a live demo from one of our sales team members today! How can your business benefit from Click-to-Call API?